Drugs that cause users to hallucinate or experience profound distortions of their perception of reality are categorized as “hallucinogens.” A hallucinogen user may have visual or auditory hallucination or feel sensations that he or she may believe to be real, including both physical and emotional sensations. Hallucinogens include both synthetically produced chemicals manufactured in a laboratory, as well as a variety of plants and animals. One of the best known synthetic hallucinogens is lysergic acid diethylamide (LSD). LSD is a derivative made from ergot, a fungus found on rye and other grains. Other well-known examples include psilocybin (aka “magic mushrooms”), mescaline (derived from peyote), PCP, MDMA, and certain other animal and plant toxins. There are few legitimate uses for hallucinogen drugs today. Unfortunately, these drugs have become quite popular in party and nightclub settings. What these drugs do to those who use it can be somewhat unpredictable, and the drug user’s behavior is equally unpredictable thanks to the distortion of that person’s perception. Hallucinogen abusers may suffer paranoia, panic attacks, rapid mood swings, psychosis, euphoria, anti-social behavior, or a variety of other effects. The drug may also cause long lasting health problems, such as damage to the central nervous system, seizures, coma, or even death. Getting help for an addiction to hallucinogenic drugs may literally save your life. While most hallucinogens are not considered physically addictive, the psychological effects they have on a user can be so enthralling that studies have proven they create a psychological addiction. This psychological addiction can be every bit as powerful for the user as any physical addiction, and can even create withdrawal symptoms. The first step to receiving treatment for a psychologically addicting drug like hallucinogens is understanding how the addiction arose in the first place. Psychological addiction occurs when the brain receives chemicals stimulating the pleasure and reward centers of the brain. After a while, the user becomes accustomed to these sensations and dependent upon them. When they no longer occur, the drug user feels every bit as uncomfortable as if they were withdrawing from cigarettes, cocaine, or another physically addicting drug. Hallucinogen addiction treatment can help with mental health support. Seeking treatment rather than simply trying to detox alone can increase your safety. Detoxing in a controlled environment ensures that medical professionals will be available in the event of an emergency. One of the biggest reasons people fail to quit any drug is the inability to cope with withdrawal symptoms. Seeking treatment can offer both psychological support as well as medicinal support in some cases. Seeking treatment will almost definitely improve your quality of life. You will rapidly notice improved cognitive function, less confusion, reduced memory loss, and faster thinking, reasoning, and recall. Treatment also provides mental health support. The University of Georgia’s National Treatment Center Study notes that many who turn to alcohol and drugs (including hallucinogens) do so as a means of self-medicating against disorders like anxiety, paranoia, psychosis, or depression. Others may develop these conditions as a result of their hallucinogen use. In either case, treating mental health professionals can help you to cope with these conditions and prevent dangerous psychological conditions that might otherwise lead to violent outbursts, depression, or even suicidal tendencies. Treatment programs help those in recovery learn about ways to avoid and overcome the situations that led to their drug use in the first place. As noted by the CDC, relapse for those with chemical dependencies are common, and often the effect of continuing to experience the same situations without learning new ways to deal with them. Behavioral treatment programs may help you to develop skills to cope with common stressors in your life, learn to avoid dangerous situations, and develop the tools to remain clean permanently. Many who use hallucinogens also indulge in other drugs or alcohol. Treatment programs can diagnose and treat these other addictions at the same time, which may be critical for preventing future relapses. All too often, the experience of using hallucinogens causes the drug abuser to lose the ability to enjoy certain activities without chemical enhancement. Treatment programs help to reeducate drug abusers in methods of deriving pleasure once more from normal activities without any boost from hallucinogens. Having help with kicking the hallucinogen habit is an isolating and lonely experience. Those who have not experienced these situations may not have the frame of reference to relate to your suffering. Treatment programs provide you with a community of not only treatment professionals, but also others experiencing the same struggle to achieve sobriety, helping you to achieve a permanently drug-free lifestyle. Indeed,the US Department of Health and Human Services has shown that those in treatment programs are much more likely to achieve recovery and avoid relapse than those who try to go it alone. Treatment programs help to take those seeking treatment out of situations where their withdrawal could cause harm to themselves or others. That includes accidentally overdosing during a binge, or lashing out irrationally at those around you due to the discomfort often associated with withdrawal. 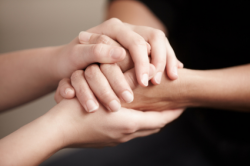 Possibly most importantly, treatment programs also provide support and education for those around you. Your family, friends, acquaintances, and co-workers can all have an influence on whether you achieve and maintain sobriety. These programs can help those who care most about you learn how not to trigger cravings, behavior to avoid, how to support you in your efforts, and ways to help you avoid situations that could lead to relapse. Which Behavioral Therapies are Best for Hallucinogen Addiction Treatment? - Since the effects of hallucinogens are primarily psychological, behavioral therapies have been found to be the most effective form of addiction treatment. Why Seek Treatment for Hallucinogen Abuse? - Without seeking necessary treatment help, hallucinogen abuse can lead to severe, long term damage. Ecstasy’s Addictive Potential and When to Consider Getting Ecstasy Addiction Treatment - Regular use of ecstasy can permanently damage the serotonin-producing cells in the brain. Meditation as a Treatment Option for Flashbacks - Meditation has been known to promote relaxation, which can help one cope with flashbacks. Is Hallucinogen Addiction Treatment Really Necessary? - Although not everyone will become addicted to hallucinogens, there are situations where professional treatment becomes necessary.